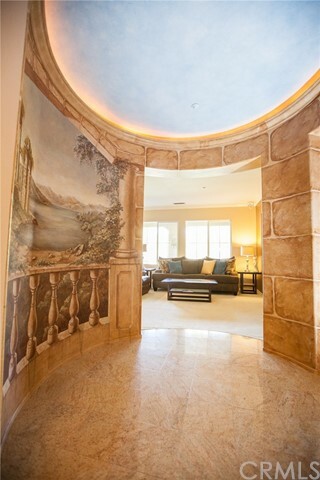 Model Perfect home in Northpark, a 24-hour guard gated community in Irvine... 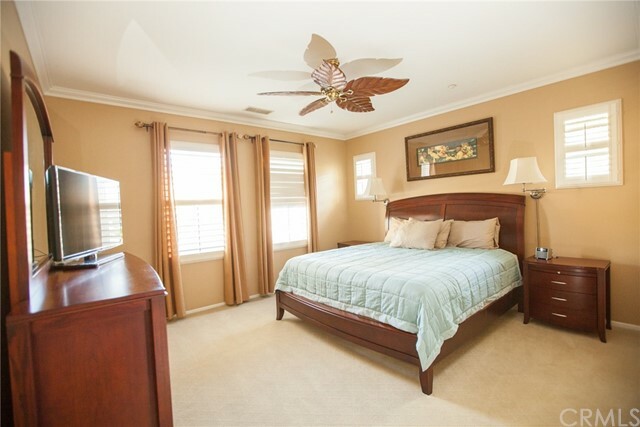 Resort Style Living with Amenities that include pools, parks, sport courts, a clubhouse, greenbelts, all beautifully landscaped. 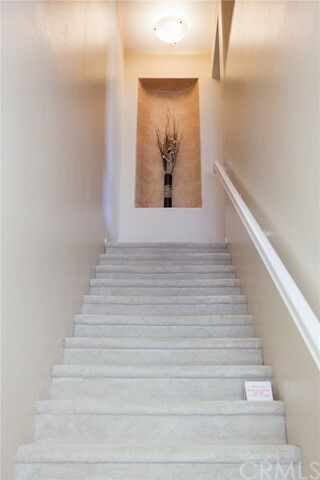 Ground floor front door with stairs that lead to a beautiful rotunda entry with marble floors to the great room and living area. From the Great Room there are views of the local mountains beyond the Eucalyptus lined greenbelt. Large balcony off the great room. Great kitchen w/hardwood floor, granite counter-tops, full tiled back-splash, stainless steel appliances, with Beech-wood cabinetry, and a small walk-in pantry. 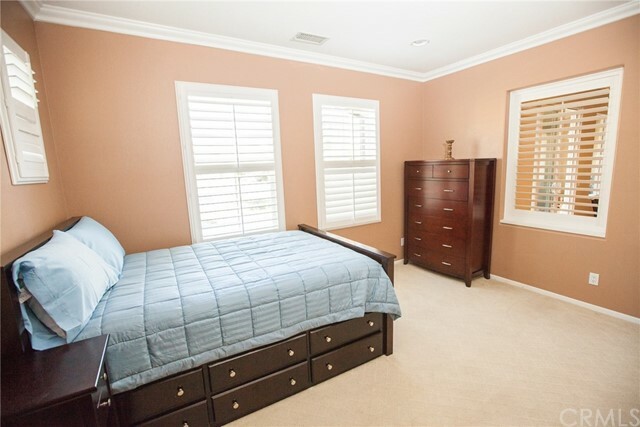 Neutral Berber carpet, crown moulding, shutters, and custom paint throughout the rest of the property. 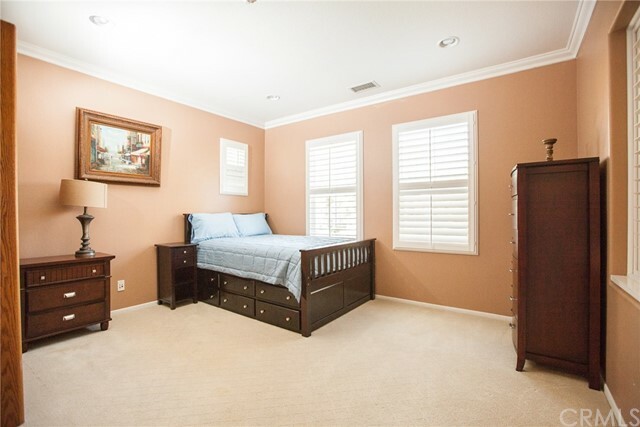 Beautiful master suite with retreat, perfect for a home office. 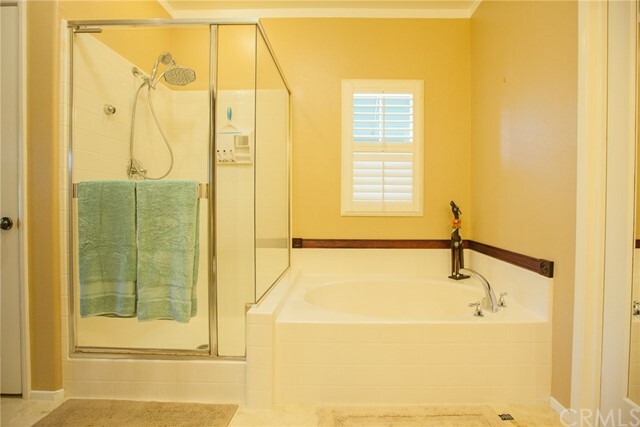 Master bath has marble floors, granite counter-tops, separate and new frame-less shower, deep oval soaking tub, and mirrored walk-in closet. The house also includes an inside laundry with overhead shelves. 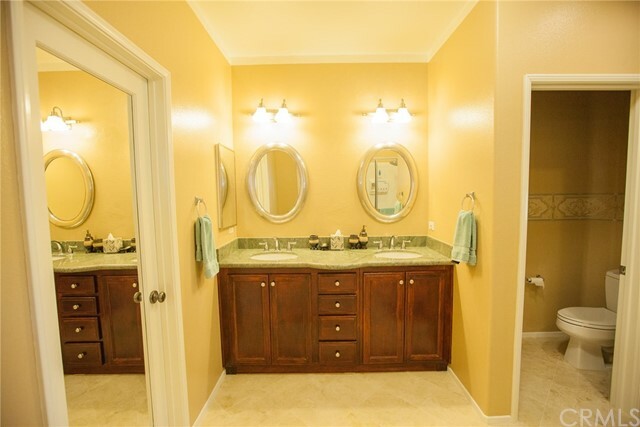 The property also has a direct access 2 car garage with plenty of storage cabinets and a work bench. 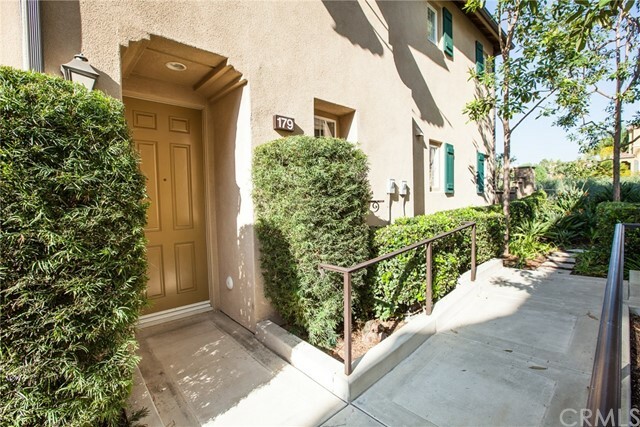 Convenient location close to shopping, restaurants, award winning schools, and close to freeways and toll-roads.